In December, we tried to get to everything on our list. We tried, but we failed miserably. Our time was taken up with Christmas shopping, decorating, baking, wrapping and a slew of other Christmas-related activities. And of course, there were the elves. But this month we’ll be playing and learning. The boys got games for Christmas. A lot of games. They Zingo for learning site words, Robot Turtles for beginning programmers, Memory, Go Ape for matching, Mouse Trap for building contraptions, Busy Town Mysteries for I Spying and Count Your Chickens for working together. They also got Rock ’em Sock ’em Robots and Toss Across for developing hand-eye coordination. 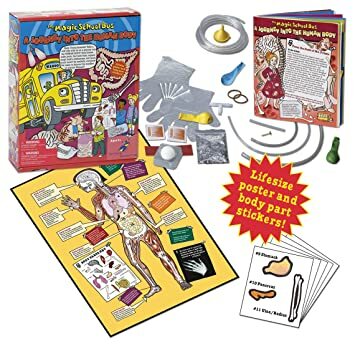 On top of that, they got a couple of cool kits such as Magic School Bus: A Journey into the Human Body science kit, a science lab kit, a dinosaur dig kit and a crystal dig kit. And…they got a year’s membership to the Children’s Discovery Museum and to the Wildlife Prairie Park–gifts for the whole family really. So…this month, we’ll play games and take a field trip or two, learning all the while.